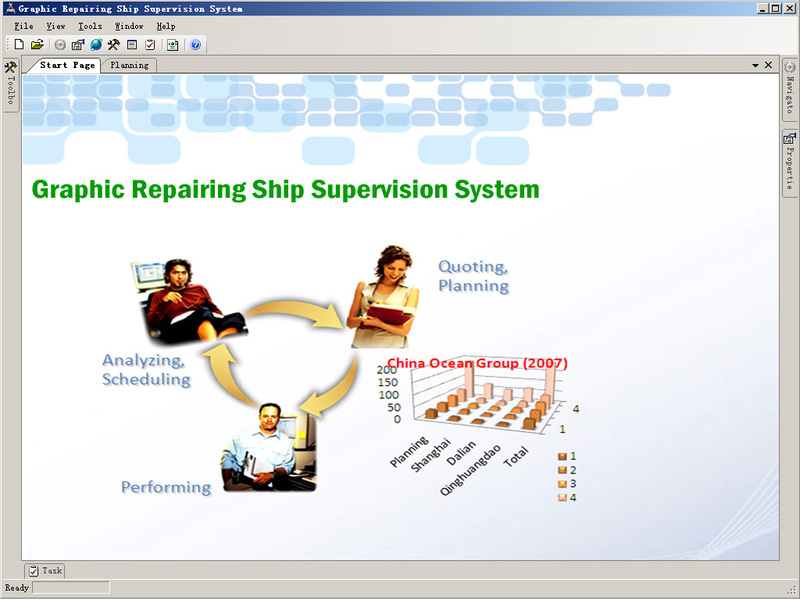 Graphic Repairing Ship Supervision System(GR3S), a integrate graphic repairing ship platform for group of ship repairing enterprises to you. According to graphical User-Interface(UI), you can build a standardized, unified, complete, secure ship repairing information platform which can show group subordinate enterprises current production situation directly wherever you are, and comprehensively improve the business, production and management level. Profile according to user’s favorite, you can define User-Interface(UI) and services etc. Multi-Language according to user’s language habit, Set you UI and funcational culture language. including Right-to-Left (RTL) languages. Viewablity graphics operational UI, you can use the system more friendly and directly. Dragable you can drag to move the ship to the position. 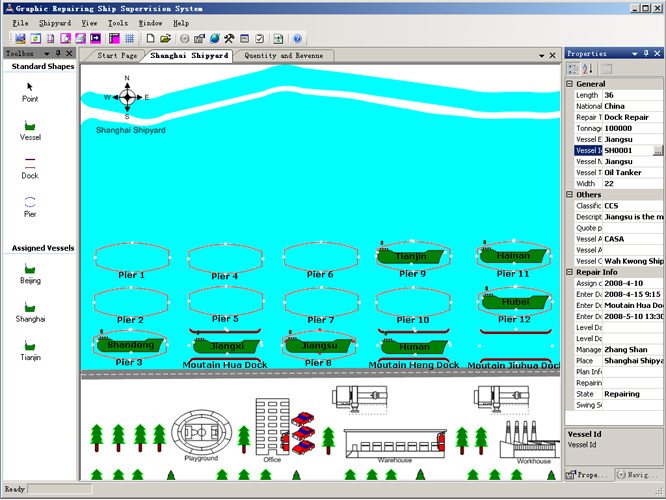 Dockable each form or box owns floating, dockable, auto hide, hide etc status, enlarge or deflate the main windows. Voice tip Using the voice tips, you can catch the point of the repairing plan and process. Mobile communications provides messages to notify users of the current system of state and operation. 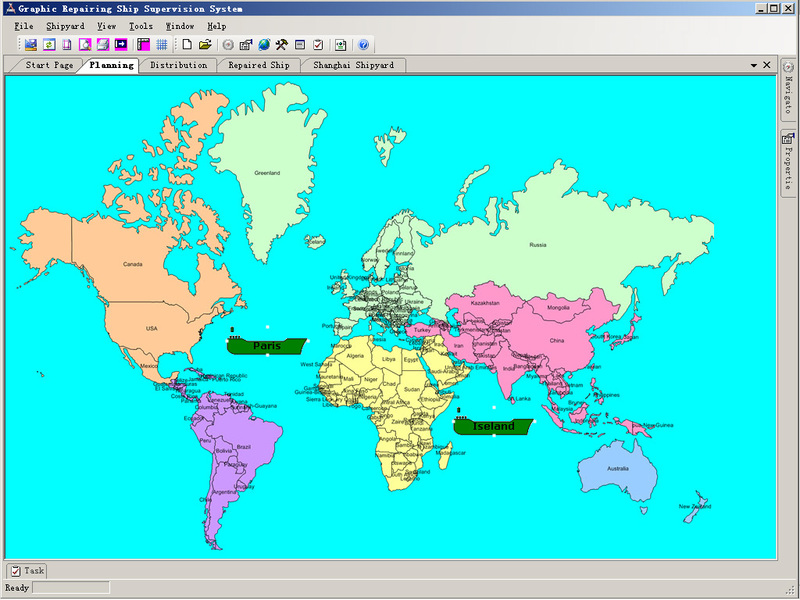 Scheduler allows you to schedule transposition of ship at virtually any frequency. 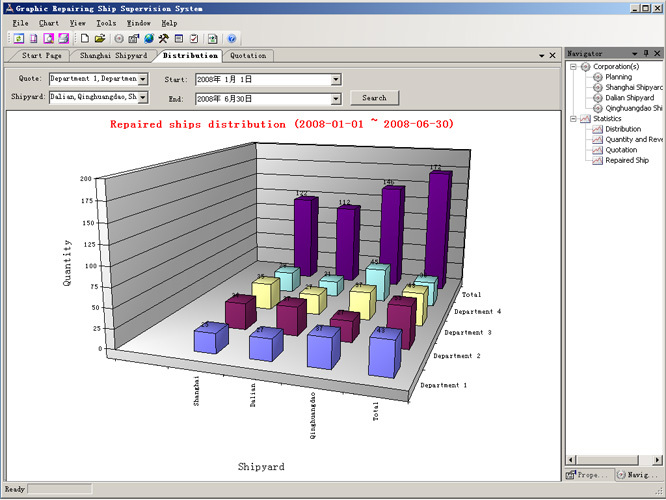 Statistics Reports is enabled via a component of Microsoft Office Web Components to show the statistics reports. You may buy product online, we will connect you ASAQ; or visit our home website. And you can download the latest PC version (about 3.2M) . And you also start here.